There are few things better than sitting around a campfire or fire pit with your nearest and dearest, especially when the temperatures start to drop and the days get shorter. And it’s neat to think that our ancestors were doing the same thing over a million years ago. But in addition to serving as an occasion to gather with their community, a campfire was crucial in keeping our ancestors warm and safe. The means used to keep us humans warm have evolved through the centuries, starting with the discovery of fire—most likely in the southern part of Africa. As humans discovered fire and what it was capable of, they learned new and improved ways to start fires—and how to contain them. Eventually, these fires were moved from out in the open to shelters, providing warmth and the ability to cook their food. This was the first example of what we now know as a hearth, and most shelters eventually included a hole in the roof for the smoke to escape the room. 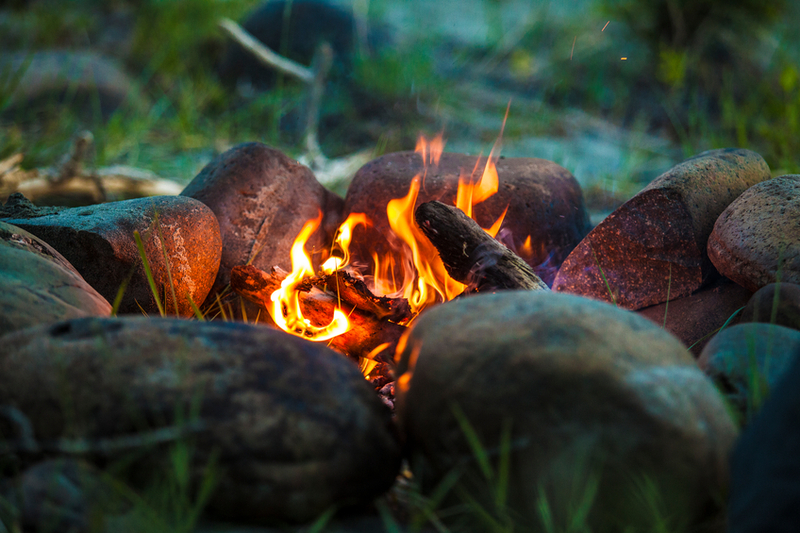 As humans evolved, so did their methods of retaining heat, and they started to encircle their fires with stones. While most of the heat still escaped via smoke, the stones radiated heat and kept them warm. Because the Ancient Greeks understood how design and architecture could impact their levels of comfort, they used central hearths to heat their homes. They built hearths in the centers of their homes to stay warm, using the walls to insulate them better than their predecessors in Southern Africa. However, the issue of ventilation still existed, and various methods were used to funnel smoke away from living quarters. Sometimes it was a hole in the ceiling, others it was something that resembled a chimney. Around the 13th century, castles in Europe used a short flue to direct the smoke outside of the home—one of the first examples of a chimney. As the chimney’s design was improved, there was still the question of how to make hearths more efficient. 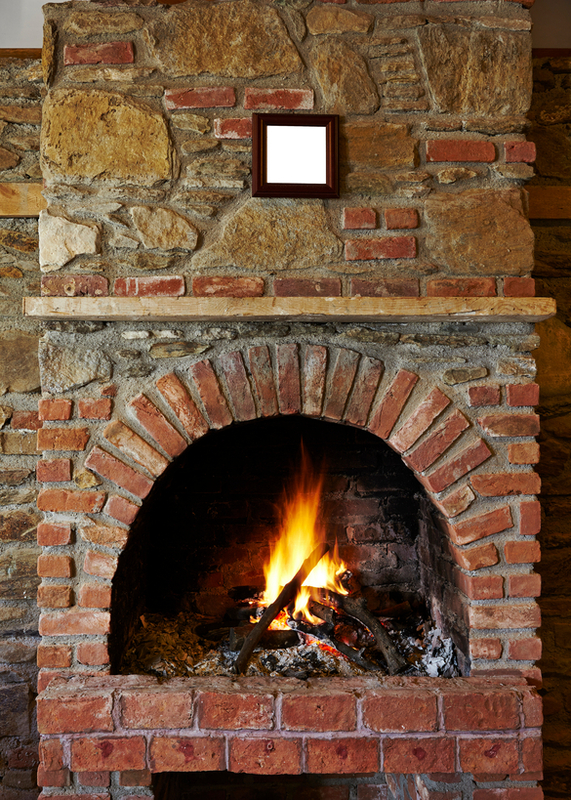 Enter Louis Savot, the 17th century French architect known today as the inventor of the fireplace. Savot designed a system that would pull a room’s cool air under the hearth, and then push out the now-warm air through a grate into the room. It was towards the end of the 17th century that the fireplace as we know it—chimneys and all—was constructed consistently in the same manner. So the next time you cozy up to your fireplace with a good book, enjoy the engineering of your ancient ancestors that lets you stay cozy and warm—and keeps your home smoke free, too! Radiant heating—that glorious feeling of heated floors—is not a modern marvel. No, we have the Romans to thank for this wonderful home heating feature. Around 80 B.C. they figured out how to heat the floors and, eventually, the walls. Early radiant heating systems consisted of a stone floor built on pillars. The pillars elevated the floor over a chamber with a fire on one end. The gases produced by the fire would exit from beneath the floor on the other side as the fire, and then exit the buildings. If you want to wow your friends at trivia, tell them the space—or chamber—beneath the floor was called a hypocaust. Romans used that term to refer to any heating system that utilized a chamber beneath the floor to heat the room. While it was mostly the wealthy Romans who were able to enjoy radiant heating, the public baths in Rome are the most famous structures that used hypocaust systems for heat. These systems were not very efficient, and they relied on a lot of firewood and manpower to keep the rooms warm—up to two days to preheat the public baths. Unfortunately, when the Roman Empire fell, the hypocaust systems were lost—including the science behind them. There are no recorded instances of radiant heating during the Dark Ages. Radiant heating resurfaces again in monasteries in Poland around the 14th century, where they advanced in popularity and technology. Whether it was hearths, radiant heating, or the more modern furnace, boilers, and radiators, heating systems evolved over the centuries from a tool of survival to one of comfort. Even our transportation has heating…and heated seats if we’re lucky! These days, we can stay warm with the push of a button. However, that wasn’t always the case, and with the rise in heating systems came the need to control the temperature indoors. In the late 19th century, it was more home design and engineering that controlled the temperature of the home than technology. But that all changed rather suddenly. 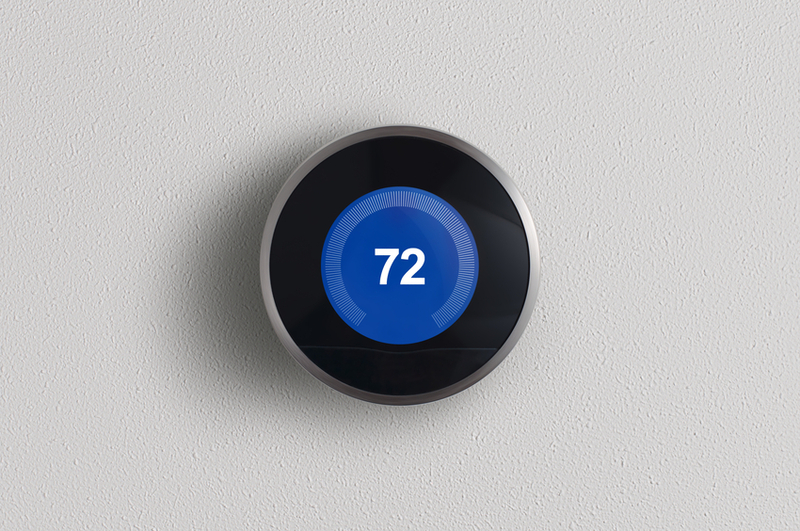 Around the same time, several inventors were credited with inventing what we know as thermostats today. Albert Butz, Professor Warren Johnson, William Powers, and Andrew Ure invented the thermostat-controlled draft damper, the compressed air thermostat, a thermostat that relied on vapor pressure, and the bimetal thermostat, respectively. It used to be that home and business owners had to shovel coal into furnaces to heat a room. Today we don’t have to worry about running to the basement to get more coal, worrying about what to do with the ash, or waking up in the night to stoke the fire. 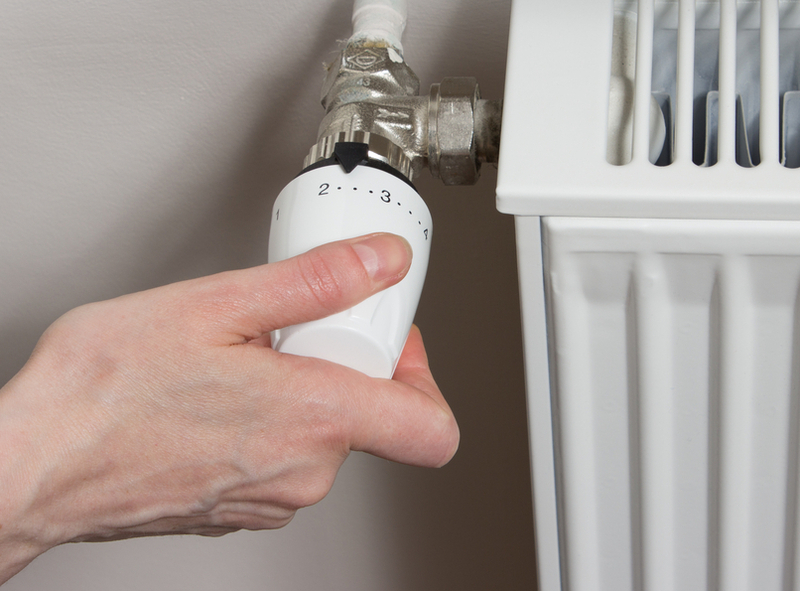 Now we have options when it comes to how we heat our homes. There are even AI systems that can learn our heating and cooling preferences and the times that we’re home in order to heat our homes efficiently. This also helps to keep our energy bills low—even during high-use months. There’s plenty to be thankful for, and heating systems are definitely at the top of the list.